Investigators are getting closer to discovering who is responsible for sending out a string of ‘mail bombs’ to Democrats leaders. Several ‘mail bombs’ were sent to Democrat leaders and critics of Trump this week–none of which detonated. George Soros, Barack Obama, Hillary Clinton, Joe Biden, Maxine Waters and Eric Holder were among a few of the Dem leaders who were targeted. A suspicious package was also sent to CNN addressed to former CIA Chief John Brennan. 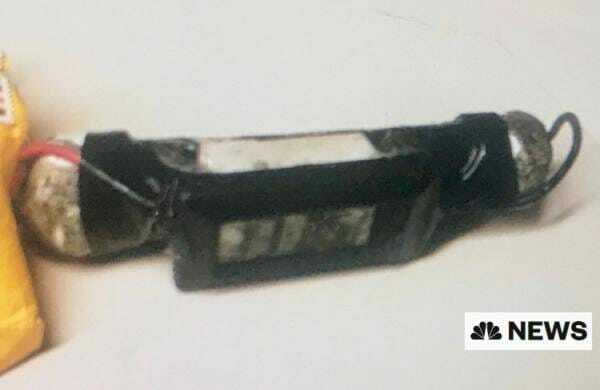 The poorly made pipe bombs appeared to be more of a political stunt designed to dominate the news cycle because they were easily screened and never did any damage. According to FOX News law enforcement has surveillance video of the courier who dropped off the bomb package to CNN. Officials said on Thursday they believe the mail bombs were sent by a person in Florida. Investigators are looking into whether some of the packages were sent from Florida, two senior law enforcement officials told NBC News. Three officials said that they believe all of the packages were sent through the mail. The post JUST IN: Officials Believe ‘Pipe Bombs’ May Have Been Mailed From Florida appeared first on The Gateway Pundit.